As we strive to increase our intake of vegetables during the vegetable eating challenge (and beyond), it becomes necessary to plan out meals and side dishes in a little more detail. No more adding a token amount of warmed up frozen veggies to our plates as an after thought. No! We are intentionally making vegetables a part of our lives. 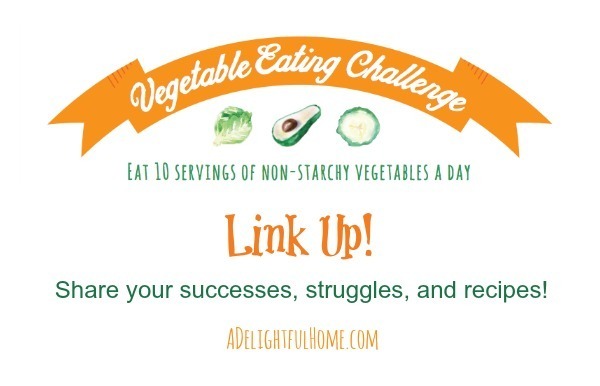 In order to help us plan ahead so we can all consume an abundance of delicious veggies, I'm sharing over 60 healthy vegetable side dish recipes today! Yes. 60. No chance of getting bored. This ought to keep us busy for a while . . .
Eat Your Greens with Bacon! @ Eat Play Love … More! I did much better this week that last week! I even snacked on broccoli and green beans today, which made me happy! I'd love to hear how you did this week. This is a fantastic list! I can’t wait to try some of these out. I love vegetables and trying them out in new ways. Thank you for including some of my recipes on your list. Pinned and sharing! I did MUCH better! Adding 2 cups of spinach to my smoothie each morning was a great addition! It didn’t look that pretty, but I couldn’t taste the spinach at all!